Can a representative of Woodcut Remodeling come to my property and provide a free quote for a project? -Absolutely. We always include a no-pressure, free quote, for all projects. Will my project require a city permit? -This will be determined based on the type of project and the town/county the property is located in. If your project requires a permit, we will make sure one is obtained. Will the rest of my home be dirty during the construction? -We use state-of-the-art dust removal and filter systems, as well as temporary plastic walls, to prevent dust from settling through-out your home. -Yes, Woodcut Remodeling is fully insured. What types of work require a specific trade professional and can Woodcut Remodeling bring in qualified people for these tasks? -Some tasks such as roofing, electrical, and plumbing (by law) require specific individuals complete the work. Woodcut Remodeling has a network of professional tradesmen who we feel are some of the best in their trade. We routinely use companies listed here on our projects. 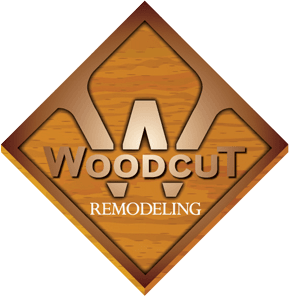 What is Woodcut Remodeling’s service area? -We serve most of the Chicagoland area including Cook and DuPage counties.